"The Information Universe is expanding in a similar way to the physical universe. Despite information being so pervasive it is one of the most important and yet least understood phenomena of our times. This foundational book by Guus Pijpers is an interesting, unconventional book that contributes to better understanding the information phenomena and, more importantly, provides insights on how better to manage it. Read it and be enlightened." "This is a book for all brainworkers and their managers. 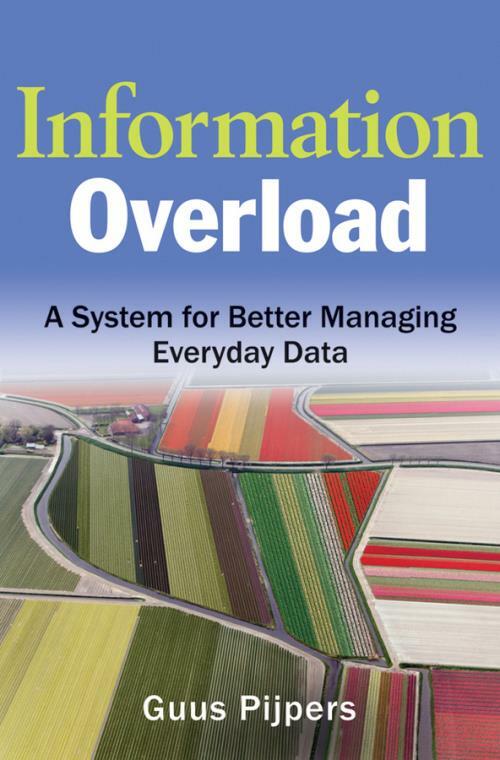 Guus Pijpers′s Information Overload is an excellent brain–manual. It gives information on the impact of data overload and how to better manage it. The book itself avoids causing information overload, because it is neatly divided into bite–sized chunks. You can start anywhere, stop reading when you learned something new, see how you can apply it yourself, do it, and return to the book." "Pijpers creates valuable and new insights on how to structure information and make more effective use of it. I highly recommend this book for executives and anyone engaged in the twenty–first century, as well as those who want to make better decisions and¿improve their lives in the information age." "Easy to read and with good humor, Guus makes the reader aware of the many processes in brain and body that are of great help to handle the everyday growing load of information and to avoid information stress!" "By focusing on the limitations of the human brain to cope with vast quantities of data, Guus Pijpers offers a unique perspective on the ′information overload′ problem and discusses strategies to fight it. While his work reflects solid theoretical underpinnings, it also provides the reader with practical advice on how to become a ′smart information worker,′ develop appropriate information behaviors, and use IT tools to address the human bottleneck. This is really an important book for all managers and their knowledge workers, especially those who need to sift through large amounts of data in search of relevant information for their daily work." CHAPTER 1: Information on Information. CHAPTER 2: A Lot of Information. Left Brain versus Right Brain. CHAPTER 6: Mind Your Brain. CHAPTER 7: Brain at Work. CHAPTER 8: The Information Brain. CHAPTER 9: Information at Work. CHAPTER 11: People at Work.